These days, most jobs are continually assessed. Whether your reviews are every three, six or twelve-months, you will need to put in some serious effort to sufficiently impress your superiors and consequently bump up your pay packet! In order to get paid more, you will have to demonstrate your value to the company that employs you. The best way to do this is to retain documents relating to your work and record every workplace accomplishment to bring up in meetings with your managers. It would also be worthwhile making a fuss of your successes, as they happen, to keep everyone around you informed of your potential. If you do this, staff in your office will begin to see you as a high achiever. And after all, it's high achievers who end up getting raises! Before making a request for a salary hike, consider whether your recent performance has been better or worse than that of other employees. Put yourself in your bosses' shoes. Would you give yourself a raise? If the answer is yes then you will need to prepare yourself for your next appraisal. If you perceive this to be too far in the future then you will need to formally request a salary review. Make sure you do not pressure your boss into this. 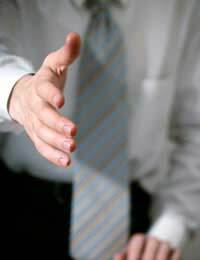 Approach them with an email requesting a chance to meet up and discuss a few work issues. Use this time to discuss your salary, making sure to raise other points of interest too. You do not want you managers to start thinking of you as solely money motivated. When you have organised a date for a meeting, or can see your next appraisal on the horizon, you will need to get your self properly prepared to discuss why you think you deserve more cash! Make sure you have been keeping evidence of past work successes that you can photocopy into a pack of accomplishments to hand to your supervisor. Make sure to feature any improvements in your company's sales figures, productivity or output during the time you have been working there. If you have cut expenses for yourself or your team, or introduced new time saving ways of doing things at work be sure to talk about it. If you know you are a well-liked and respected team member, ask colleagues to write brief positive summaries about you and your work. During your appraisal be firm with your boss and clear about what you want and why you deserve it. If you appear confident in yourself and your abilities then supervisors will take more notice of a request for a raise. Make sure you can back up your request with evidence; the more professional you are and the better prepared you are the easier it will be to get your point across. If bosses are not keen to increase your pay, ask them to consider improving other benefits. Most companies have fairly flexible compensation packages, which often include healthcare, pensions, gym membership, half-days, holidays and even gift vouchers for company clients. If your company can't afford to pay your more money, could they be persuaded to improve other factors? Another way to raise your pay packet is to gamble, by betting your boss that you will meet or exceed a target. Production deadlines, sales quotas and employee productivity measures are just a few of the things bosses will pay for, if improvements are seen. The only problem with this "high-stakes" method (apart from the added pressure) is that if you don't meet a target, you might get a salary reduction! If you really think you deserve a raise but are having trouble convincing supervisors to increase your wages, it might be time to start looking for jobs elsewhere. If your boss finds out you are getting itchy feet and interviewing at competitors they may even realise how much they need you and offer you a raise to stay. If you are a good bluffer, you could tell your boss that you have been offered a job elsewhere for more money and have decided to take it, even though you have done nothing of the sort! The threat of a member of staff leaving within the next few days may shake up your management severely enough to get you what you want, particularly if there is a big project your company is working on that requires as many people as possible! Sadly, bad bluffers may find that their boss accepts their resignation, which would rather unfortunately leave begging for your job back! Be careful! The ideal time to ask for a raise is during a successful performance review or promotion. Promotions that include title changes should be accompanied by salary increases. If you schedule a salary discussion with your supervisor too far in the future, he will almost certainly start scrutinising your work, to see if you really deserve more money. It is crucial that you continue to produce good work at this time. Getting a raise is not a short- term process, but it is one that can pay off. The good work you do in order to get a raise can also result in promotions and one day, great references.